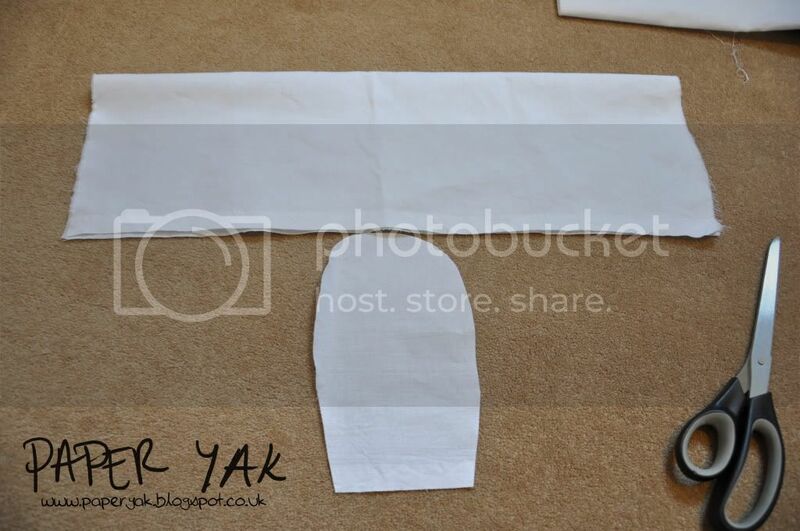 Paper Yak: How to make a pilgrim's hat! How to make a pilgrim's hat! Ok, so I'll admit now, I'm not American. 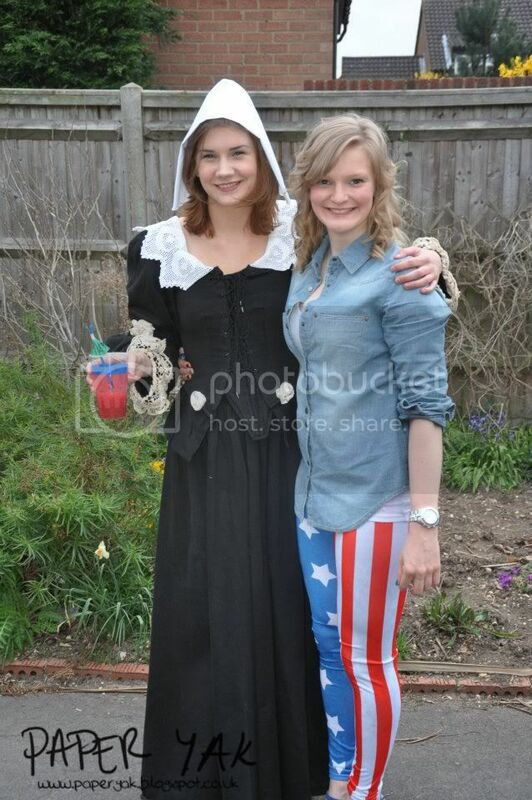 I also don't know much about American history, but what I do know is that the settling of the pilgrim fathers was at roughly the same time as the English Civil War, so when my friend Sarah had an American themed leaving do, I was all over that pilgrim costume! It just so happens that my parents used to be part of an English battle re-enactment society called the Sealed Knot who specialise in reenactments of the English Civil War, and thus they had period costumes! Luckily for me, they kept their costumes and my mum and I are similar sizes so I tried on her costume and it fit! 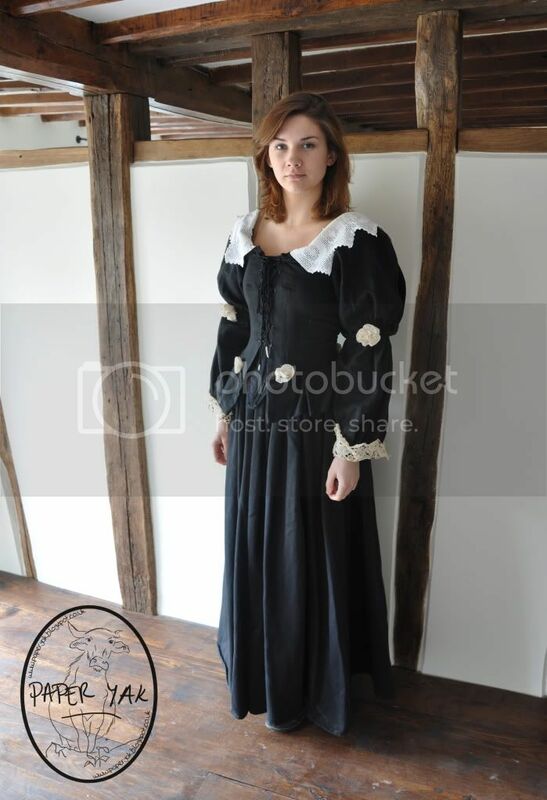 Apparently my mum made the outfit herself from a historical pattern, so it's all historically correct, right down to the stomacher (an invention that proved itself very convenient later that evening when I ate loads of cake). 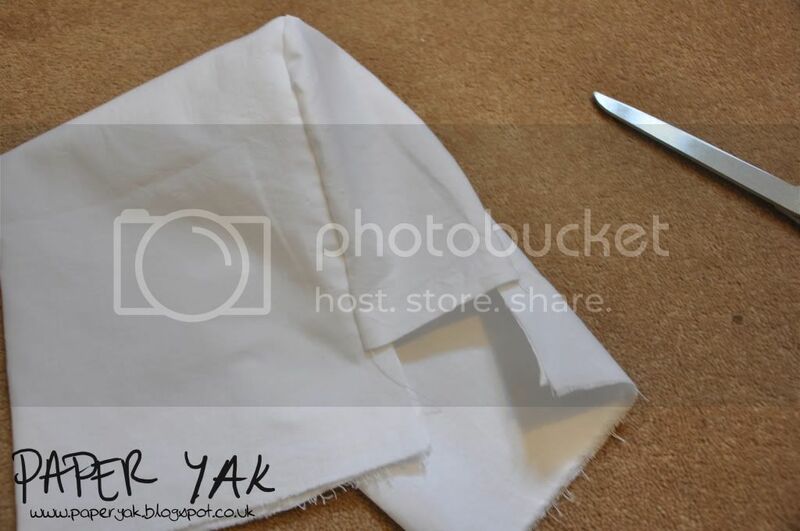 To make the outfit look more pilgrim-my I decided to make a little cloth bonnet. It was very easy to do but unfortunately there's only one photo of me wearing it and it's not on my head right (I blame the welcome cocktails) so it looks a bit daft, but hey ho, here's how to make it. The strip of material needs to be the same length as the measurement from jawline to jawline over the top of your head. Width wise it needs to be double the depth of your head (from the back to the front), so you can fold it over like in the picture above. This is going to be the brim of the hat. You'll also need to cut a rounded off rectangle that's the length of the back of your head and the width of your head. This is going to be the back of the hat. All you do then is pin the raw edges of the strip around the back piece, being careful that there's no catches in the curve. 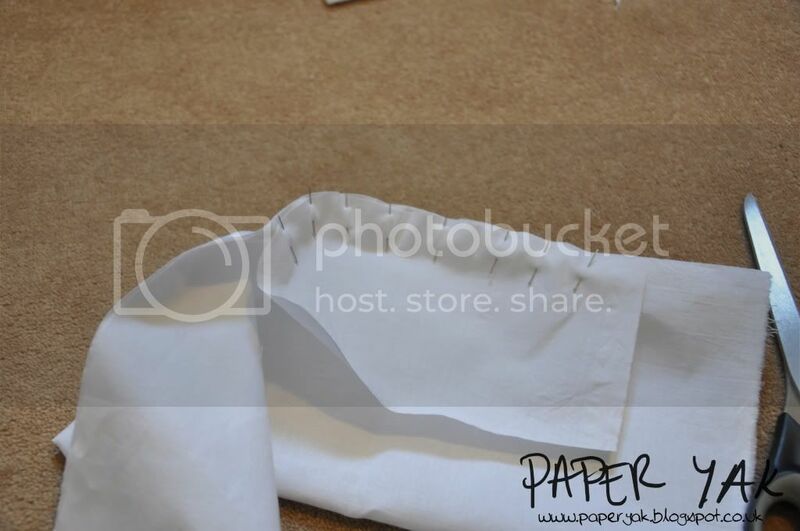 You can then whizz round it with a sewing machine or sew it by hand. Turn it inside out (so now the edges are hidden and it's right sides out) and trim the excess under the back of the hat down in a triangle shape so it slopes with your jaw. You can the put on the hat at a funny angle and wear it with the Farrah Fawcett styled host of the party! I suggest you take off the hat after a while because you really do look ridiculous!